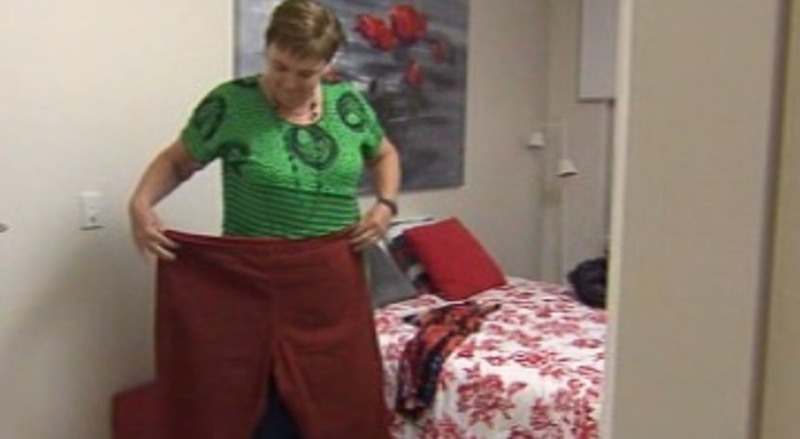 Mind over matter – the former chocolate addict who lost 40kg through hypnosis. DATES: Adelaide, from Saturday, October 22, to Sunday, October 23. Perth, from Saturday, November 5, to Sunday, November 6. TIMES: Saturday 8am to 8pm and Sunday 8am to 5pm. LOCATION: Adelaide, the Mercure Grosvenor in the CBD. Perth, the Adina Apartment Hotel in the CBD. COST: Think Slim is offering Today Tonight viewers a special 2 for 1 deal. $795 for two or $347.50 each. MP5 PLAYER: Buy the self-hypnotising MP5 programme from www.thinkslim.com.au. 1) Stay hydrated. People often confuse thirst for hunger. Drink 2-3 litres of water a day and remember, the more water you drink the more you shrink. 2) Eat magnesium-rich foods. Lack of magnesium can lead to cravings. Brown rice, black beans and almonds are high in magnesium. Other foods rich in magnesium are dark green leafy vegetables, pumpkin seeds, avocado and bananas. 3) Curb the cravings. Be ready with healthy alternatives. Have a plan for what you will have instead of the sugary food. Have a mandarin, apple or some nuts at night or in the afternoon. 4) Never shop while hungry. Make sure you go shopping on a full tummy. Have a shopping list and only buy what is on your list. 5) Have a goal. Set a goal date to reach your goal weight. Have a clear reason to be sugar free and list all the reasons why you are doing this. 6) Use a mantra. Tell yourself, "I don't need it, I don't want it, I won't have it," and "Those foods are for the other people." Note: Before making any changes to your diet, seek the advice of your health care professional or doctor.